Another book I recently finished was The Brief History of the Dead by Kevin Brockmeier. The City is inhabited by those who have departed Earth but are still remembered by the living. They will reside in this afterlife until they are completely forgotten. But the City is shrinking, and the residents clearing out. Some of the holdouts, like Luka Sims, who produces the City’s only newspaper, are wondering what exactly is going on. Others, like Coleman Kinzler, believe it is the beginning of the end. Meanwhile, Laura Byrd is trapped in an Antarctic research station, her supplies are running low, her radio finds only static, and the power is failing. With little choice, Laura sets out across the ice to look for help, but time is running out. 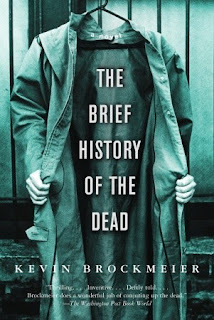 Kevin Brockmeier alternates these two storylines to create a lyrical and haunting story about love, loss and the power of memory. This was one of those books that was not particularly engaging while I read it, but ended up having a lasting impression on me. I’m always left flabbergasted because on the one hand, I hate that I didn’t enjoy parts of the book, like lots of parts, but I love that the idea of the story is still floating around in my head and making me think. For me the true wonder of the book was its’ main premise; ie: that after we die we head to a place similar to the existence we held on Earth, so long as we’re remembered by the living. It’s such a neat and unique theory. Weeks after reading the book, any random memory I had made me realize that the people of these memories would be populating the City. Even more interesting is that my contribution to the City’s population wouldn’t just be obvious people, like my family, best friends, co-workers, ect . . . but also those casual connections that are subconsciously. For instance, a friend (Hey, Jill!) 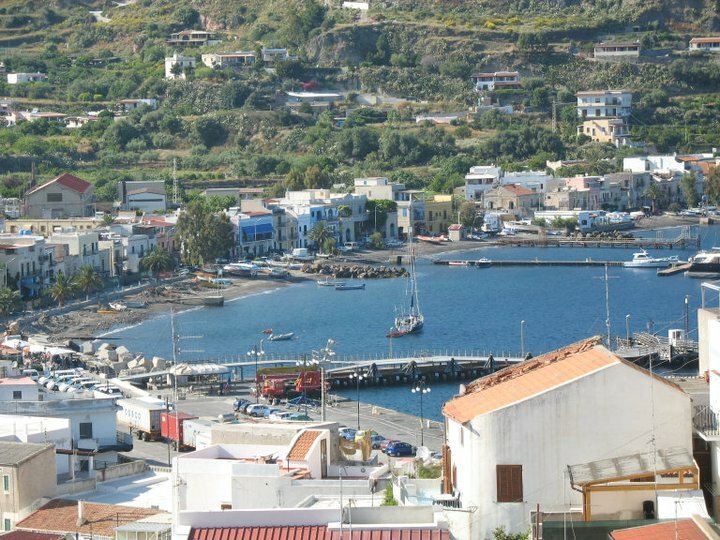 and I vacationed in Lipari awhile back, and while exploring the island we discovered a very small hot springs that the locals used. The keeper of the springs was a little old, Italian man who gave us a tour (tour might not be the right word because that place was tiny!) of the above ground spring and the cavern underground and while we were there a very large man in a very small speedo was using the above ground spring. Now every time I think of a hot spring, I think of these two men, and if the premise of this book is true these two men will inhabit the City of the Dead when they pass. Mr. Speedo himself was bathing himself in this exact spring. Room for one. I just want to be clear, we did not bathe in this stuff. 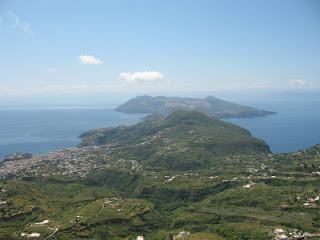 On a complete side note, Lipari was amazing. 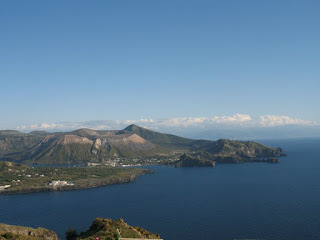 It’s a part of the Aeolian Islands in the Tyrrhenian Sea off the north coast of Sicily and even though it’s not very large, it was absolutely gorgeous. 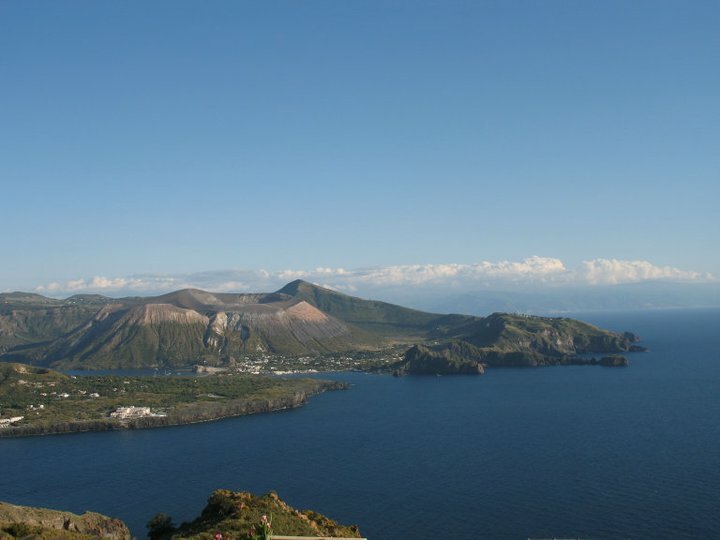 The islands were created by volcanic movement, all of the islands form a volcanic archipelago that straddles the gap between Vesuvius and Etna, the result is a hilly landscape that allows for breathtaking views and a serene vacation right of the coast of Sicily. Ahhhh….loved it! 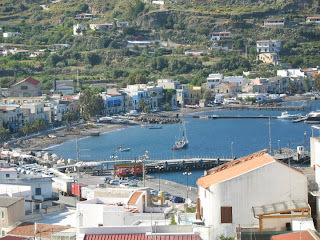 The island is accessible by ferry only, here's the port. Another memory that occurs more frequently, as in every day I put my contacts in, I remember that when I first started wearing them I couldn’t put them in by myself. My friend Jeannette used to have shove those buggers onto my eyeballs (Yeah, apparently I used to be incredibly incapable of even the smallest tasks, thank goodness I had good friends!). Of course I remember Jeanette for other things, but I just want to demonstrate how populous the City would be because people remember the minutest of things, sometimes daily. However, as amazing as this theory is, I really feel like Brockmeier missed the boat when it came to describing the City. Since he simultaneously told the story from both the City of the Dead and Laura’s perspective it was hard to become involved with any of the inhabitants of the City. Brockmeier just threw so many people at you. It felt incredibly disjointed, but hey, maybe that was the point. Another thing I thought was odd was Brockmeier’s deliberate mudslinging at Coca Cola (Didn’t see that coming did you?) Seriously, this guy hates America’s soft drink, the polar bear mascots, and everything else associated with the corporate giant. So weird. Bottome line: Skip the book and spend a second pondering who you would add to the City. And onto the next . . . February’s book club read was Jacqueline Kennedy: Historic Conversations on Life with John F. Kennedy. And it was amazing.